Monthly/Highlight November Teasers Not Without My Family. kshara tells Varsha about Nannu’s strange behaviour. Vivaan asks Gayatri to confess her love to Kartik. 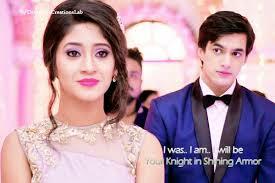 Later; Naira apologises to Kartik. Nannu confronts Varsha for spying on him. Nannu escapes when Naira tells Akshara about his drug addiction. Some goons threaten him for money and try to stab Kartik. Later; Nannu comes clean about his drug addiction in front of the family. Naman seeks Naira’s help to rescue Naitik. Later; Akshara asks Naman to spend some time with Mishti and Karishma; while Naira decides to spy on Kartik. Naira tricks Kartik in order to take pictures of the documents. Later; Naman decides to take a drastic step; while Akshara calls Naitik and asks him to come home. Naman assures Akshara that he will go to Kenya and bring Naitik back. Later; Naitik is found lying unconscious on the floor. Meanwhile; Naira; Naksh and Kartik decide to accompany Gayatri to Switzerland for her exhibition. Naksh tells Akshara that officials from the food department will be visiting their restaurant. Akshara decides to go to Switzerland. Later; Kartik; Naira and Gayatri reach Zurich. Naira steals Kartik’s cell phone to find a clue. Akshara reaches Zurich and feels dejected thinking about Naitik. Later; she gets worried when a stranger tells her that he found Naitik’s wristwatch at the Zurich airport. More Teasers soon When Available.